WARNING: Chris Kerr’s new made-to-measure service could prove highly addictive. Are you ready to take a step towards the realm of bespoke clothes? Keen for a taste of the world of tailoring, but not yet ready to jump in at the deep end? Then let me tell you about Chris’s new made-to-measure service, which allows men to sample his tailoring at an exceptional price and an unsurpassed level of convenience. Perhaps it’s worth sounding a note of caution here: this service may prove to be the gateway drug that leads to a fully-fledged bespoke addiction. Until now Chris’s suits have only been available to his bespoke customers, but the made-to-measure program makes them available to a wider pool of men without diluting the product. This is achieved because the made-to-measure suits are tailored according to Chris’s house block (the style in which he cuts his suits), in an English workshop, using fabrics chosen by the customer from the thousands of cloths on offer in Chris’s Soho shop. Aficionados will be reassured to know that the jackets are fully canvassed, although inevitably they contain a little less handwork than their bespoke counterparts. The process is easy and involves the customer making all the crucial decisions about the fabrics, patterns, colours, style, and details, while Chris takes a wide array of measurements. These specifications are then sent to the English workshop where the suits are created, and six or seven weeks later a finished suit is ready to collect from Chris’s shop in Soho. 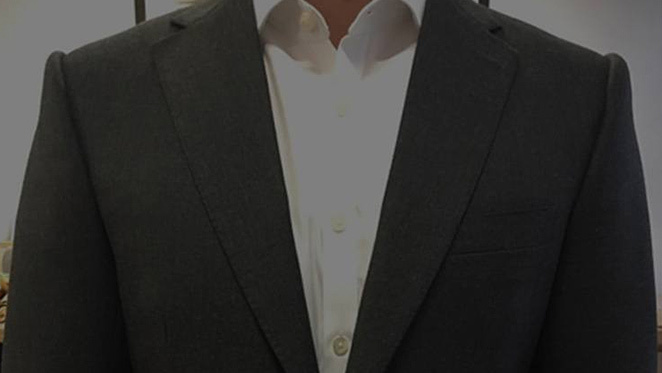 If, first time around, some minor adjustments are necessary then these are quickly carried out in London, as they are with Chris’s bespoke tailoring. The only question is, do you trust yourself to have that first taste?